Following their success at Sonica 2012, Picture Window returns to venues across Glasgow with a new programme of artists focused on interactive music and sonic art. Picture Window is an on-going public art project based in Glasgow that temporarily transforms shop front spaces with contemporary art practice directed at the street. By engaging emerging artists and musicians from across Glasgow and beyond, Picture Window will present fresh and diverse work, to a diverse and unmediated urban audience. Picture Window is a project by Annie Crabtree and Eileen Daily. Read more on the project on picturewindow.org.uk. Snatches of sounds and glimpses of images of suspension bridges, ship moorings and the weather will flow into the Scottish Music Centre’s foyer, drawing audiences in to explore an opposing and overlapping world between imagery and sound. Ev Buckley is an Irish artist and computer musician based in Glasgow, whose work is concerned with the relationship between space and synthetic sound, field recordings and improvisational composition. Buckley is a graduate of the Masters programme in Digital Composition and Performance at the University of Edinburgh. While blindfolded and immersed in a world of sound, let your imagination take control as soundscapes pervade and intermingle with your other senses. Live dynamic visualisations are projected to invite passers-by to become audio tourists. Start Here, step inside, and sample the experience for yourself. All Eyes Wide artists Edward Crawley and Rob Jones have created a new version of this installation especially for Picture Window in collaboration with video artist Jamie Wardrop. Graduates of MA Sound for Moving Image; Aikman, Jackson and Reade combine their respective practices in filmmaking, sound installation, computer programming, costume making and composition, to develop their response to the Grassroots window. of cinema, stage and display are layered and interplay in this sculptural installation. Investigating social implications of hip hop and pop music, The Fame of Us is a project focused on innovative uses of music. Ataman and Pickles’ practices explore the role of communication through the body, using performance and digital media. Creating a sense of nostalgia through the use of bygone jingles and advertisements, Conducting Commodities examines the role of sound in advertising, as visitors are encouraged to interact with a window display of salvaged television sets. Glasgow-based artist Thomas Leyland-Collins’ work explores how sounds are and can be used in a social context. In his work, he utilises technologies which have become redundant within today’s consumerist society. Suspense – an audio-visual experience that will test the depths of perception and limits of sonic reverberation. Audience members will be transported to a vast undisclosed space that will be transformed into a temporary venue to host an array of musical performances and interactive lighting installations. Visual artist Jack Wrigley and London-based Kite & Laslett will be installing architectural interventions accompanied by music performances from Golden Teacher and sound artist Giles Perring. For Sonica 2013, Cryptic is delighted to invite TAKTAL to curate this event. TAKTAL is a company who work with new and challenging spaces to curate events in direct response to the architecture. Following the success of Tales of Magical Realism part I and II, The Escapement is the third and final part of the Trilogy. Inspired by Cryptic Associate Sven Werner’s film Oculista and featuring music by Graeme Miller, Werner will use his unique techniques to explore the flow of time and invite the audience to enter his worlds of magical realisms. The Escapement is the part of a clock movement which tames the forward hurtling time and dissects it into two parallel worlds. One world transforms audience members into voyeurs of dreams, witnessing people’s intimate thoughts and desires in an experience reminiscent of Wim Wender’s Wings of Desire. The other world leads even further, requiring the audience to climb down the partitions of time and settle in the poetry of its very pulse. Sven’s aim as an artist is to introduce poetic worlds to people, with the intention of bringing them closer to the poetry within their own lives. His background as a filmmaker influences his work significantly. The immersive installations that Sven is currently creating are composed like film scenes that, instead of being limited to the screen by the camera lens, allow interaction from the audience. He enjoys using miniature models, both in his film and installation work, hoping to provide the atmospheric intensity necessary for the audience to fully enter his envisioned worlds of magic. Sven aims to provide the minimum amount of stimulus required for an illusion to work and leaves dark corners for the imagination to fill, allowing the observer to make each journey personal. Sonica 2013 invites you to a cardboard box lunchtime adventure – full of sounds, tastes and smells. A bespoke moment just for you – the solo lunchtime muncher. Hidden behind treats and sweets a performance unfolds in the most unlikely of places. A series of unique lunchbox performances created by multidisciplinary artist and Cryptic Associate Josh Armstrong. Josh aims to present multi-disciplinary art that is exciting and accessible to a wide, varying demographic. He creates experiences with high aesthetic quality that present an alternate reality to the spectators, giving them space to explore the world through another’s lens. His art practice strives to create visually stunning work that actively engages the audience’s imagination. Josh uses performance as a tool to mature and refresh the art practices of his participating artists. His work continues to research and develop the field of performance study, for the growth of both the artist and the wider community. Note: If you have specific dietary requirements including food allergies, please email pr@cryptic.org.uk to state these and we will do our best to accommodate to your dietary requirements. Raydale Dower will create a new installation exploring sonic form, spatial composition and duration. The Eye of the Duck references the ideas and work of the cult film director David Lynch as well as highlighting Lynch’s long-standing musical collaboration with the composer Angelo Badalamenti, who is most noted for his works: Blue Velvet, Twin Peaks and Mulholland Drive. Raydale Dower’s practice explores the parameters of sculptural form and sonic composition through a combination of installation, object and performance, with sound and musical elements. Raydale has often realised projects or specific aspects of projects, through collaboration with other artists and musicians. His working method has evolved through an experimental and self-driven ethos, informed by his involvement in independent music and visual art. The Secret Agent, 2008: Performance, sound and sculpture with references to absurdist theatre and constructivist composition to create a distinctive re-interpretation of Joseph Conrad’s novel, produced in collaboration with Judd Brucke and Lowsalt Gallery for Glasgow International 2008. For Sonica, American-born composer George Higgs brings his musical door to Glasgow. Two musicians push the Door through Tramway, stopping periodically to perform their musical composition. The Door is a barrier – yet paradoxically – the musicians communicate musically from cello to bells, gongs to slit drums and cymbals. Listen… at the door. Door premiered at Cork Midsummer Festival in 2012, and has since been performed around Ireland and the United States. George Higgs is an American composer based in Ireland whose work comprises opera, chamber work, experimental electronics and music for instruments of his own making. Recent ‘Higgstruments’ include The Jimmy Rig Slip Jig – where performers assemble an instrument in the act of playing it – The Joculator – a human powered electro acoustic vehicle which George pedals around while composing music and DOOR – a musical door which two musicians trundle through a city. He is currently work-shopping a new electro-mechanical opera and a two-storey instrument for deaf musicians. His true masterpiece, however, is the Kahoogaphone, an instrument especially designed not to make a sound. He holds a Masters in music technology from Trinity College Dublin and is represented by CMC Ireland. 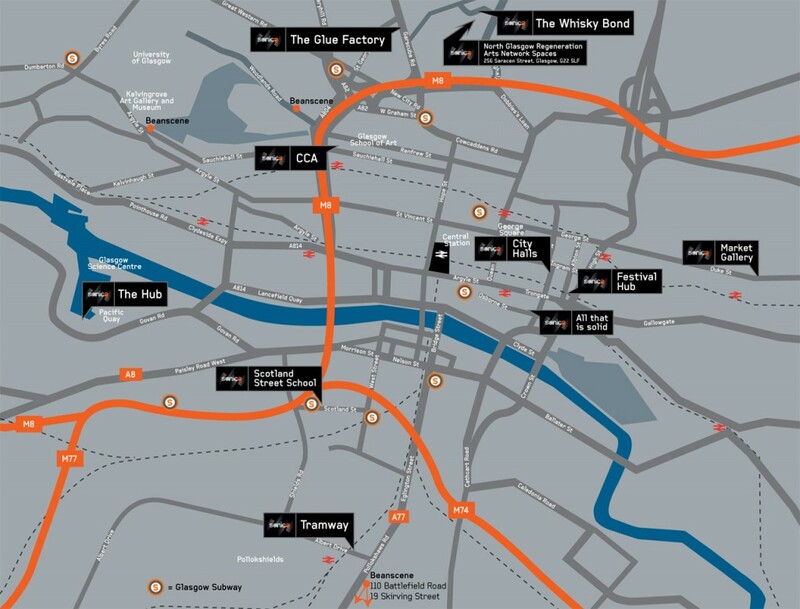 Hear Glasgow in a different light – a sonic walk experience. Commissioned by Cryptic, Walk with Me is a sonic experience. Imagine walking along Sauchiehall Street, hearing the sounds around you change as you move. From one spot to the next sounds differ; but as you approach a corner, or distance yourself from it, the character of what you hear shifts. Your perception and experience of your surroundings, regardless of how mundane or exceptional they are, change with the modification of their sounds. Hear melodies, chatter and electronica around Glasgow, using GPS data to trigger sounds through a musical iPhone app. Walk with Me is a Cryptic Commission for Sonica 2013. Supported by the Embassy of the Kingdom of the Netherlands. Mosquitoes sing in tune to copulate mid-flight. An inspiring phenomenon was observed from a seminal research on mosquitoes from the University of Greenwich: to find a partner of the right species type, male and female mosquitoes rely on their ability to “sing” in tune. Truce is an interactive sound installation exploring a mosquito’s natural synchronisation behaviour highlighting the musical interactions between insect and computer. When male mosquitoes change their buzzing frequency to synchronise and match that of a female mosquito, this enhances the mosquitoes’ ability to copulate mid-flight. The computer produces a stimulus sound derived from the North Indian classical vocal tradition of Dhrupad and three mosquitoes independently tune their buzz to the sound. Robin Meier is a Swiss artist and composer living in France. His interests lie in the emergence of natural and artificial intelligence and the role of humans in a world of machines. Meier tries to make sense of these questions through musical compositions and installations. Referred to as “Artist of the future” (le Monde) and “Vuvuzela of contemporary art” (Liberation); his works are shown around the globe, most recently at the Palais de Tokyo and the Museum of Modern Art in Paris, SIGGRAPH in Yokohama, Japan and the Auditorio Nacional de Musica in Madrid. Ali Momeni is into dynamic systems and moving targets; he works with kinetics, electronics, software, sound, light, people, plants and animals. His creative output ranges from sculptures and installations, to urban interventions and music theatre performance. Supported by the Institut Français and The Swiss Arts Council Pro Helvetia. The different resonance frequencies of each trumpet form a pentatonic system that is central to the installation. The trumpets spout words, laughter and noise as you map your own auditory route within this three dimensional soundscape to find out each trumpet’s unique meaning. With his work, Pierluigi Pompeï confronts space, where architectural elements and sound form the main parts. Robbie Thomson has been commissioned by Cryptic for Sonica 2015 to create The New Alps, a monumental immersive sculptural work. 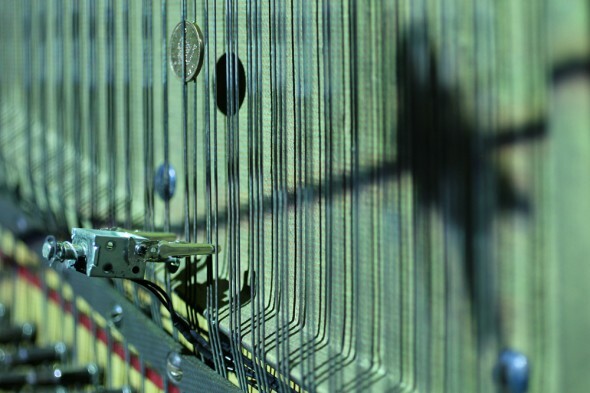 Kathy Hinde recycles the inside of an old upright piano into a kinetic sound sculpture. Davies wires herself and her players to an electronic muscle stimulation system which triggers strange, paroxysmal movements via electrical impulses. She creates compositions which define the minute muscle movements involved in performing pieces of music and transmits this data back to her players via MIDI. For this concert she presents one purely involuntary composition, two co-composed works (with Jim Sclavunos and Kyle Sanna) which also include voluntary players. A post-show talk follows the performance. Michaela Davies is Sonica’s 2013 Artist in Residence. Davies maintains a multi-disciplinary art practice across installation, sculpture, sound, performance and video. Also a doctor of psychology, her work is informed by an interest in the role of psychological and physical agency in creative processes, and how obstruction can change the trajectory of development. Supported by the Australian Council for the Arts. 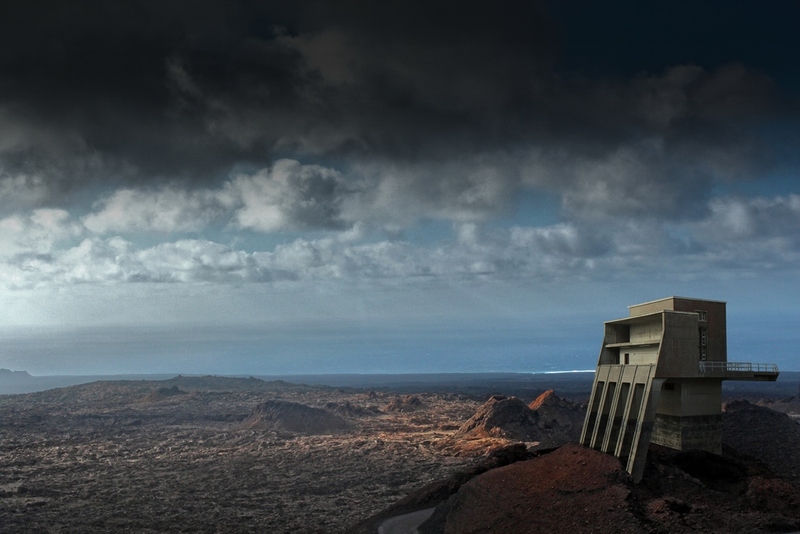 A multimedia, operatic world of division – inspired by the Cyprus UN Buffer Zone – explores the boundaries of separation. Suspended video screens divide the audience and on each side musicians play imaginary duets with virtual instruments alongside a UN soldier who illustrates through movement, the absurdity and alienation of the buffer zone. This powerful performance is accompanied by film footage, recordings of UN soldier interviews, the sound of military technology, cello, piano and manipulated voices. Sonica welcomes award winning Norwegian composer and sound sculptress Maja S K Ratkje. She collaborates with multimedia visual architect HC Gilje to create a stunning audio-visual performance for voice. The echoing beauty of whistles, growls, clicks and whisper-to-scream exhalations is accompanied by electronics and LED screens in a unique performance. Norwegian artist Maja S K Ratkje and light designer HC Gilje were first seen in 2012 at Kontraste Festival in Minoretenkirchein Krems, Austria. Ratkje is a composer and performer from Trondheim, Norway, and has collaborated with orchestras, chamber musicians and artists from other arts across the world for almost two decades. She has received awards for her compositions as well as performing abilities including the Norwegian Arne Nordheim prize – the first ever for a composer to receive. Gilje works with installations, live performance, set design and single channel video. He has presented his work through different channels throughout the world: in concert-venues, theatres and cinemas, galleries, festivals, outdoors and through several international DVD releases, including 242.pilots live in Bruxelles on New York label Carpark and Cityscapes on Paris-label Lowave.